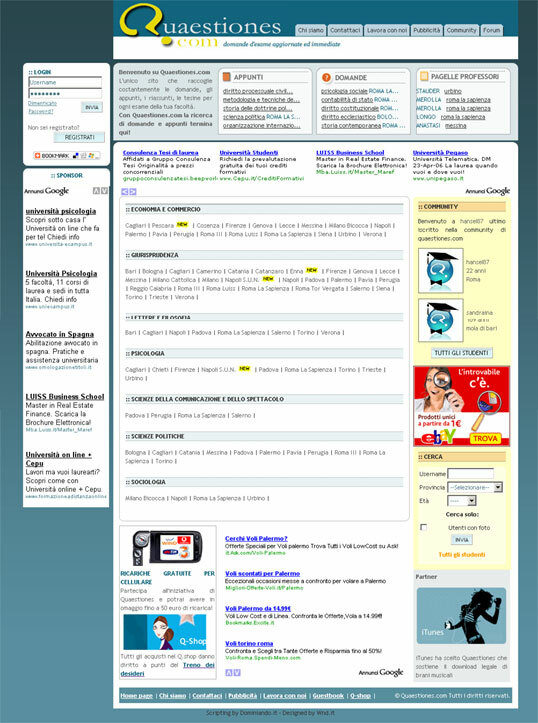 Creation of the graphical interface and editing static Quaestiones.com site. 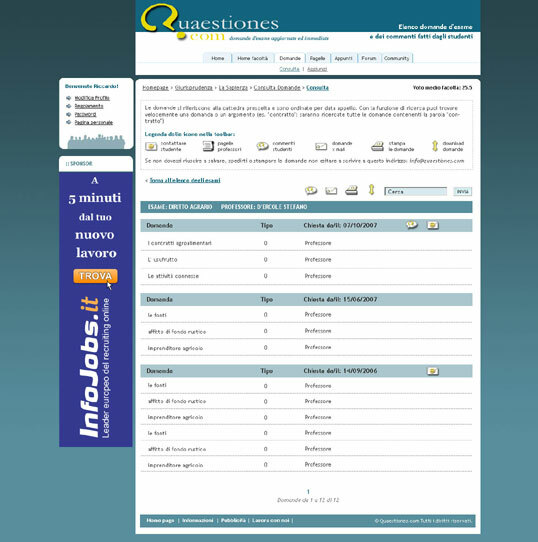 Quaestiones.com is the first website devoted entirely to collecting and distributing digital exam questions. Point of reference for students of universities in the preparation of exams, collects notes and questions on the examinations of the various Italian universities and faculties.